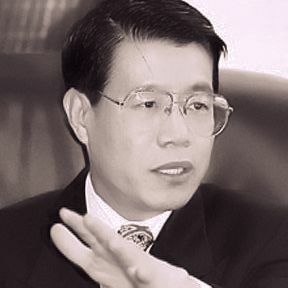 About Dr. Wang Bingzhang, the first distinction is that he was among the first Chinese students sent overseas to study science and technology by the Chinese government when Deng Xiaoping opened up the country in 1977 after the death of Mao Zedong. In 1982, when studying abroad was hardly a comprehensible concept even for China’s urban and intellectual elites, he became the first Chinese from the mainland to receive a Ph.D degree (in medicine) in decades. Almost immediately, he announced the decision to give up medicine and become an activist for freedom and democracy in China, spearheading an overseas democratic movement before the US became a destination for China’s exiled dissidents and political prisoners. In 2002, he was kidnapped by the Chinese government in Vietnam and subsequently sentenced to life in prison. For the past eleven years, he has been held in solitary confinement, in a prison in Shaoguan, Guangdong province. He has had three strokes and is suffering from phlebitis. Years of solitary confinement has also led to mental problems. Since last June, his family in Canada and the US has initiated a protest, demanding the release of Dr. Wang. In three parts, we provide our readers a sketch of Dr. Wang Bingzhang and the ongoing protest to free him. “Our ancestral home was in Hebei,” Dr. Wang’s sister Yuhua told me. “Our father had a rudimentary education in the countryside. He moved to Shenyang, Liaoning, when he was a relative’s teenage apprentice. After that he became a small business owner, opening up a convenience store. He married a girl from his hometown and started a family in Shenyang. Wang Bingzhang was born in 1948, the second of eventually five children. 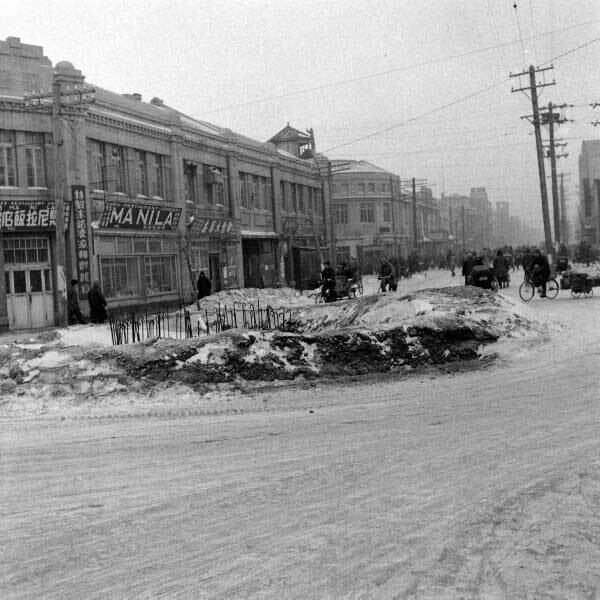 Anyone who has even a sketchy idea of China’s civil war between the Nationalists and the Communists, following the anti-Japanese war, should know that the Shenyang area was where the civil war was fought most fiercely. The battles and sieges resulted in untold numbers of deaths and refugees. That year, Wang Bingzhang’s father abandoned his shop and took his family back to Hebei to escape the chaos of war. In 1955, he moved the family to Beijing, along with a few cows, where he opened up a dairy farm in Haidian. A year later in 1956, the new regime confiscated private properties (公私合营), and the dairy farm was taken by the state, and the owner, Bingzhang’s father, was assigned a job as an accountant in Haidian District’s state-owned fruit distribution company. His salary wasn’t enough to provide for the growing family. His wife did odd jobs to supplement the family income. Yuhua recollected that, when the children were little, their mother used to dig holes in the spring for planting trees, 50 cents each, and she would come home in the evening without being able to lift her arms. Like many Chinese families, the Wangs struggled. They often could not afford soy sauce, and had only pickles to go with meals. Wang Bingzhan attended junior high and high school in Haidian District’s 19th High School, one of the oldest high schools in old Peking with missionary roots. He graduated from high school in 1965 and was recommended for college acceptance as a high honor student. Taking his father’s advice, he chose Beijing Medical College. He was in college for only a year when the Cultural Revolution began. A natural leader, he became the head of the college’s Red Guards, but grew quickly disillusioned when he himself was seized by younger red guards from his high school and taken back there to attend “beating down” sessions of his teachers and principal for their “reactionary capitalist education.” One of the victims died on the spot. For the 18-year-old Wang Bingzhang, his sister told me, it was a life-changing experience. After graduating from medical college in 1971, Wang Bingzhang was assigned to work in the small city of Yushu, Qinghao province (青海玉树), in northwestern China. His older sister described his life in Qinghai in a diary entry recently. “Not far from the hospital,” his sister wrote, “there is a river called Tong Tian River and its crystal water teemed with fish. When not attending patients, Bingzhang would go fishing. He ate so many fish in all styles of cooking that he once said he had eaten all the fish he needed to for this life and the next. 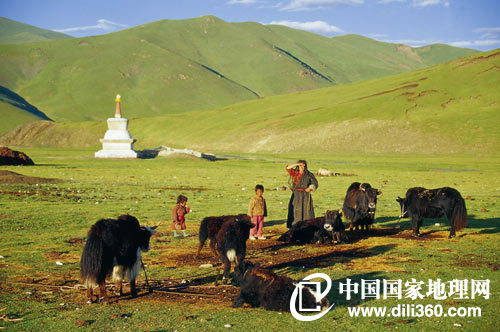 Bingzhang liked Qinghai for its magnificent sky and its stunningly beautiful mountains and rivers. He liked the people – the Tibetans – in particular for their guilelessness. But starting in the second year, he began to suffer from lupus. In 1976 he was permitted to transfer to Shijiazhuang, the capital city of Hebei province, six hours from Beijing by train. In the same year Bingzhang moved to Shijiazhuang, an earthquake leveled another city in Hebei, Tangshan, killing 300,000. In Hebei Academy of Medical Science where Bingzhang worked, loud speakers asked all researchers with clinical experience to report to the administration office, and from there, they were sent to various hospitals. Injured victims arrived en mass, and surgeons, Bingzhang among them, worked day and night. He later described the earthquake rescue as a soul-stirring experience. That fall the “Gang of Four” was “smashed to pieces,” and Deng Xiaoping took the leadership of the Communist Party and China. One of the things Deng promptly initiated was to select the smartest Chinese from universities and research organizations and send them overseas to study science and technology on government scholarships. Wang Bingzhang was among the few in Hebei province who had successfully passed the English exam and been selected. Over the phone I asked his sister how he had learned English. “Didn’t his generation study Russian instead?” She said Bingzhang had learned English himself and kept up reading medical journals in English over the years. Dr. Wang Bingzhang and son. His application for overseas institutions was initially unsuccessful because Chinese medical degrees were not recognized. Fortunately for him, he had by then published articles in China’s cardiology journals and he was recommended by Wu Yingkai (吴英恺), the late academician of the Chinese Academy of Sciences and a cardiovascular surgeon. He was subsequently accepted by McGill University in Montreal, Canada. In July, 1979, the 32-year-old Wang Bingzhang arrived in Canada to study medicine. In September, 1982, he received his doctorate degree to become the first Chinese to be awarded a Ph.D. in decades. The Chinese newspapers, domestically and overseas, reported his success. He was the pride of China and a source of inspiration. But unbeknownst to anyone, he had made a decision, a big one. By China Change in Human Rights & Civil Rights, Interviews, Political Transition on October 1, 2013 .